My First Reading Club is a monthly subscription box that delivers three age-appropriate books specifically for you and your child! This is a review of the Just Starting Out, $9.99 a month, box for kids under 2 years old. The Cost: $9.99 a month + shipping. Save with 3, 6, and 12-month subscriptions. COUPON: Use code MSAREADS to save $7.00 off your first box! The Products: Three age-appropriate books curated specifically for you and your child. Sometimes, a free surprise is also included in addition to the book. This month’s bundle featured 3 travel-themed books by Misti Kenison. Past boxes have included more than 3 books, but the subject of these cut lil’ board books, to me, more than made up for any comparative lack of product. As a total travel nut who is currently suffering from a severe case of wanderlust, I was so happy to see these! Out of all of the books, France is the only place that I’ve actually visited myself. This book teaches color, and it only makes sense considering the richly vibrant environment that Paris has to offer. From yellow cheese, the white arch of The Arc de Triomphe, the green gardens, and more, your child is introduced to France’s most beloved attractions one page at a time. There are 10 pages in total. I had the best time revisiting some of the most memorable portions of my Paris trip while flipping through this book, and I can’t wait to talk about that trip with my son. He’s only 3 months right now, but he seemed to really enjoy the simple layout and bold colors that this book showcases! Who knows, maybe we’ll even get to visit together one day (cue the mom tears), and I hope that these books will instill an interest in travel and appreciation for all cultures of the world. Italy’s version of The Tiny Traveler book is all about numbers. Readers familiarize themselves with the land of art and history by counting through pizzas, paintings, gondolas, and even the number of scooters parked at the Colosseum. Just like the France version, this book’s text is large and straightforward, and illustrations are easy to decipher. Mine arrived a bit bent along the spine, though. This book is the one that I was most excited about! My parents, who are much more frequent travelers than I, visited Egypt several years ago and loved it. Their house is full of mementos from that trip, I immediately thought about how thrilled my mom would be to read this book to my boy. 🙂 Being that Egypt has a pretty strong association with hieroglyphics, it’s only natural that this book tackles shapes. It does a great job of going through all the basics and then some. This book’s illustrations were definitely the most varied of all 3, though. Some were a bit strangely low-quality (or something? ), but I suppose that’s understandable when attempting to depict obscure shapes, like a scarab necklace, in ways that are simple enough for children to process. If you’ve read a few of my My First Reading Club reviews, you’ll know that I’m a little thrown off by these ‘mom gift’ product samples that are included in each shipment. This lotion is fine, but these mom gifts always remind me of hotel toiletries. Oh well! It’s the perfect size to toss into my bag to have on hand during this harsh, dry winter! Verdict: This was definitely my favorite My First Reading Club box to date! The travel theme really resonated with me. I was also really happy to see that this month’s books were not affiliated with Disney or Nickelodeon in any way, as they normally are. MFRC’s co-founder, Joe, even addressed this in his note this month. He stated that he often curates the box with tv or movie-themed books because it makes many children that much more interested in the book from the start. It’s a simple sentiment, but I never really thought of it that way. I appreciate that this was touched on! The value of this month’s books comes in at $17.87 (much lower than last month’s $25.97). With a subscription cost of $9.99 + $7 shipping, the value only breaks even. However, for avid young readers who want to build their library on a monthly basis, I really enjoyed the curated selection this month. Can you still get this box if you sign up today? No. Get March’s box here (ships on 2/28). 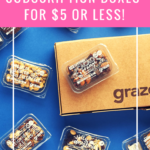 Coupon –Use code MSAREADS to save $7 off your first box! Value Breakdown: This box cost me $9.99 + $7.00 shipping, which means that each of the 4 items in the box has an average cost of $4.25. Check out all of our My First Reading Club reviews and the Baby + Parent Subscription Box Reviews! Which My First Reading Club book was your favorite this month? How do subscribers rate My First Reading Club? Do you subscribe to My First Reading Club? Add your rating now! I would love to gift this to my niece. Is this box still available if I were to sign up?